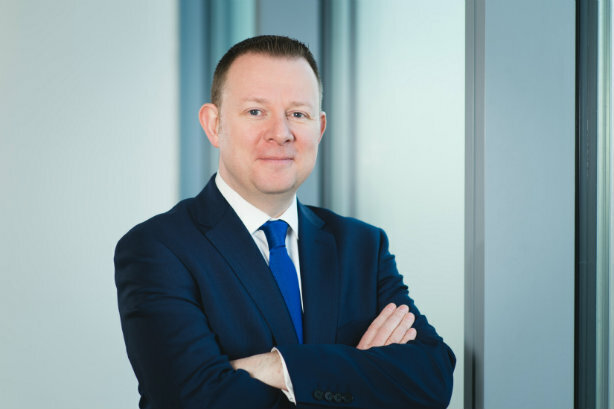 Stephen Doherty will be promoted from head of corporate comms at Barclays to group head of corporate relations next month, while his boss has also taken a new role. He will report to group HR director Tristram Roberts, a member of the bank's executive team, in the newly created role. Doherty joined Barclays in his current role in 2012, at the height of a reputational crisis stemming from the Libor scandal. Before Barclays, Doherty worked for Diageo, and prior to that agencies Cohn & Wolfe, Weber Shandwick and Edelman, having started his career working for a Labour MP. Doherty will continue to lead corporate comms, and now takes on additional duties for government relations, as well as its citizenship function; its brand, insight and sponsorship team; and the events, roadshows and hospitality division. The brand, insight and sponsorship team oversees Barclays' high-profile sponsorship of the Premier League as well as group marketing, but does not include UK advertising and marketing activation - this is handled by the Barclays UK business rather than through group operations. Doherty and the heads of those units previously reported to Tim Karpoff, group chief of staff. Karpoff, a former Obama administration staffer, will be made group head of strategy next month, and be succeeded as chief of staff by internal hire Sasha Wiggins. Doherty will oversee circa 450 staff across the UK, US, Europe and APAC once promoted. He said in an internal note to those staff that he was "very pleased – and not a little daunted... to be given the privilege of leading corporate relations for Barclays". He went on to say: "You guys are all a smashing and talented bunch of folk, and I think we can collectively do great things for this business." Doherty's agency roster includes Brunswick for financial PR, Cicero for public affairs, former Portland MD Oliver Pauley's new agency Bunhill for corporate reputation advice, and agencies including Cohn & Wolfe, Brands2Life and Hope&Glory for consumer and b2b work. Click to see how Doherty ranks among the top corporate PR pros in the still hot-off-the-press 2018 Power Book.